The Citizens’ Climate Engagement Network (CCEN) is a major breakthrough for public participation in global governance. The CCEN was created through the Pathway to Paris Project, led by Citizens’ Climate Lobby, coordinating a network of volunteers and collaborating organizations, working to open access to United Nations meetings and decision-making processes, in anticipation of the COP21, and the Paris Agreement. It now becomes an always-active platform for locally rooted global climate civics. The process of creating the CCEN began during the spring of 2014, with the release of an early draft of the Pathway to Paris Core Principles Whitepaper. Its purpose was to build into an analysis of global carbon pricing strategies the macroeconomic logic of a plan that would return value to households and local economies, while steeply reducing climate-forcing emissions without adding cost to the economy. The presentation of the Whitepaper at the Spring Meetings of the World Bank and the International Monetary Fund (IMF) highlighted the need for more direct citizen participation in global decision-making. And so, the Pathway to Paris Project was born. The Project was in the planning stages, working behind the scenes, to prepare for the Whitepaper’s release and the Project’s introduction on Sept. 23, 2014, the day of Ban Ki-moon’s UN Climate Summit in New York City. Citizens’ Climate Lobby brought 250 of its own volunteers to New York City for the historic People’s Climate March, where CCLers from across North America marched with legendary climate scientist Dr. James Hansen, committing to do the work as citizens to support serious, affordable, catalytic climate action. Dr. Hansen would join CCL on Sept. 23 to officially launch the Pathway to Paris Project. The Core Principles Whitepaper was presented to the World Bank Vice President and Special Envoy for Climate Rachel Kyte, on the floor of the UN General Assembly Hall. This began the process of building the Core Principles for effective, efficient, equitable carbon pricing into the design of the Carbon Pricing Leadership Coalition. We founded the CCEN on October 25, in Minneapolis, with the presentation of the draft governance strategy, after a Day of Dialogue. In 18 dialogue sessions and 3 plenary sessions, nearly 200 Minneapolis 2015 climate delegates studied policy proposals, climate science, local impacts, democratic participation, and the economics of the energy transition. Their insights were pulled together into a comprehensive report and used to brief the following day’s High-Level Dialogue to Accelerate Climate Action. That meeting produced a strategy document—”A Convenient Opportunity“—aimed at shifting the operational logic of climate action. The core insight is that inaction on climate change adds cost and harm to many aspects of human existence, while smart policy action and innovation in private enterprise create vast new opportunities to improve the human condition, bring our civilization into balance with Earth’s life-support systems, and expand our economy in sustainable ways. Each of the Workstreams is an always-active venue for worldwide citizen engagement on its focus area. Some will track climate impacts, and others will track government actions, technological advances, business innovation, or the state of affairs in the global negotiating process. During the launch, we had reports from volunteers working on carbon pricing, oceans, linkages between the climate and the sustainable development goals, and the long-term goal of restoring a healthy climate. On December 2, in Paris, to bring this work to the world and officially activate the CCEN, we brought together interested participants, collaborators, and team-members, and provided briefings on the work of the Pathway to Paris team, the Citizens’ Voice media project, the nature and state of the UNFCCC negotiating process, and the official CCEN governance strategy. We reported on the initial members of the Advisory Coalition: Citizens’ Climate Lobby and Citizens’ Climate Education, UNICEF, the International Association for the Advancement of Innovative Approaches to Global Challenges (IAAI), the Global Challenges Action Network, the UN Environment Assembly / MyUNEA team, the People+Planet Project, the Healthy Climate Project, ICCCAD, and Association Actions Vitales pour le Developpement Durable (AVD). We reviewed the Workstreams, and provided briefings on the global engagement effort that supported creation of the Carbon Pricing Leadership Coalition, the work of our Global Strategy Interns in support of the SDGs Workstream, and Jerome’s briefing on the treatment of oceans in the negotiating process and the draft text. 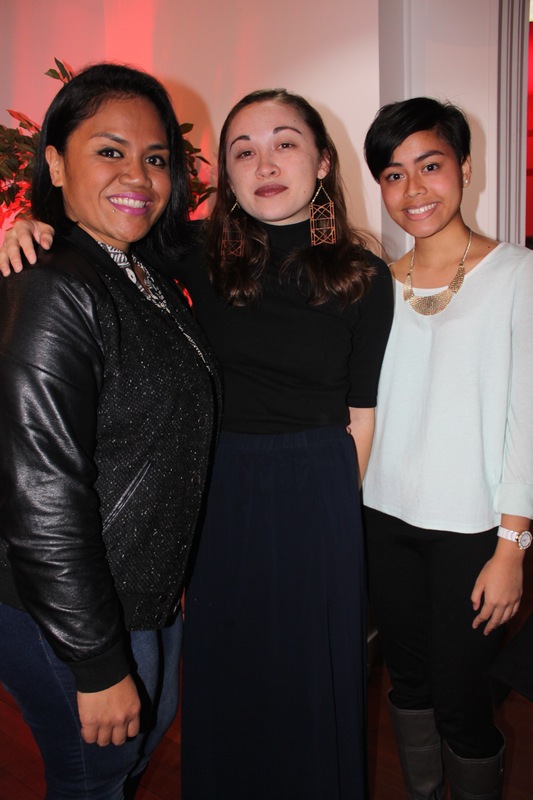 Though we enjoyed rich and far-reaching discussion of policy objectives, and of dedicated citizen leadership on global climate action, the highlight of the event was the poetry of three lucid women: Eunice Andrada, Isabella Borgeson, and Terisa Siagatonu. They spoke for people who face the worst impacts of climate disruption. We heard personal fears and struggles, the deep pain of seeing family members suffer and die, and the implicit ethical call we all inherit as soon as we enter the human world. There was fury and fairness, urgency and leadership, in the words of the poets who joined our event. They spoke for those whose voices are so often excluded from global policy processes, but they spoke also for a universal human conscience, and for the aspirations of future generations, to build a world free from injustice, free from violence, and free from the projection of cost and harm onto the lives of innocent people. The event ended with a swell of shared emotion, and that became, for many who spoke of the meaning of the event afterward, the salient insight: we are doing this work, because we recognize that our humanity is linked to the lives of others, that our actions have ramifications that extend beyond the reach of our own singular capacity for action, and that we are at our best when we respond to this intangible, but certain and recognizable ethical call. We added to this the words of Nobel Peace Prize Forum executive director, Gina Torry, who—while giving an address on human freedom just a week before—asked: “Are we free, if violence forces us into violence?” Coming together to work as a team and design a smarter, more dignified, and more just human future, makes a lot more sense than letting avoidable cost and harm befall our fellow human beings. 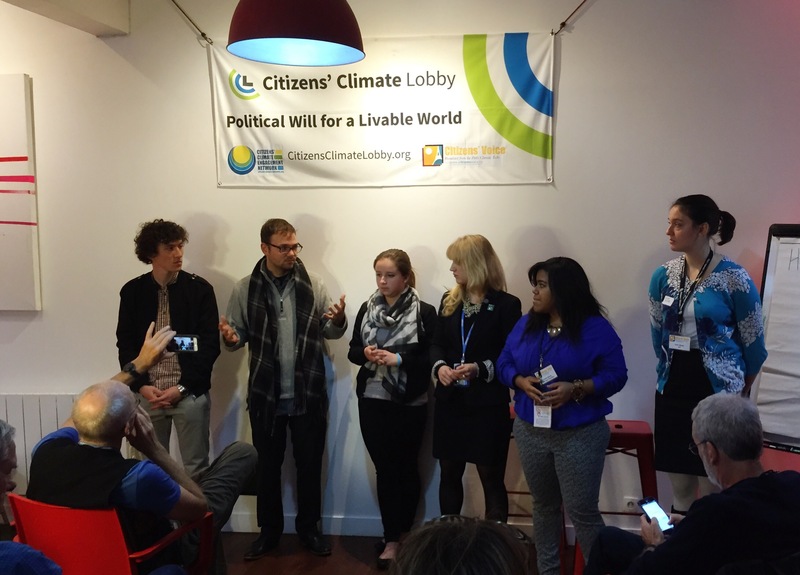 Throughout the COP21, the engage4climate team worked to build the CCEN Workstreams, provide real insight to advocates and negotiators, interview and celebrate participants in the global policy process, and ensure the views and experience of people around the world would be relevant to those working to determine their fate and the fate of their children and grandchildren. In 2016, we will fill out the Advisory Coalition, the Secretariat for Implementation, and the Global Team Structure. We will establish and expand the Workstreams, and ensure their evergreen online reports are of value to people working for good outcomes on climate, sustainable human development, and new energy investment around the world. We will propose the CCEN process as a leading reform proposal for reform of the Doha Work Programme on implementation of Article 6 of the 1992 UN Framework Convention on Climate Change, joining the Action for Climate Empowerment (ACE) dialogues in Bonn. Our team will bring citizens’ voices to global policy processes, including the UN Environemnt Assembly, and support local and high-level dialogues for accelerating climate action. deploy the Citizens’ Voice team to report back to citizens and team-members at home around the world. To join the Citizens’ Climate Engagement Network, simply visit our sign-up page, fill out the form, and join.